This Late C19 nursing chair is fantastic quality. It has been beautifully restored and reupholstered in this fabulous velvet from BRITISH fabric house GEORGE SPENCER DESIGNS. Do not hesitate to contact us for fabric samples. 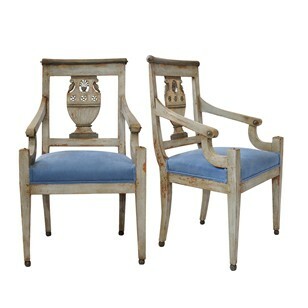 TheKula specialise in unusual and elegant chairs from the 1800’s - 1960’s and produce a limited number each year. Our chairs are are ‘one-off’, not to be repeated, beautiful creations ... re-upholstered with current complementary textiles which breathe new life into these unique items of furniture. Christine Shepherd is the owner of The Kula, a Londoner by birth, entrepreneur and free spirit by nature, with a passion for chairs, lighting and art. 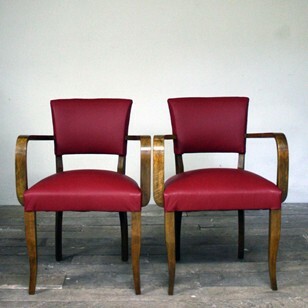 The Kula specialise in unusual and elegant chairs from the 1800s - 1960s. Christine is inspired by shapes and textures, selecting the right fabric for the right chair, or vice versa. All her chairs are one off, not to be repeated, beautiful creations. The Kula is also the leadng UK specialist in lamps manufactured by Industrias Fase S.A. of Madrid (1964-1980s). These iconic lamps are sought after by interior decorators and film directors and have an interesting history. They are beautiful, not in a soft feminine way, but in a loud obtrusive way and would make a statement in any home. As for TheKula’s art … we all know that art is very subjective, Christine buys what she likes and would have in her own home. Her interest in interiors developed whilst living in Andalucia, Spain, where she was given the opportunity to remodel 33 rooms of the Hotel Punta Sur in Tarifa. She was then asked to remodel the lounge and restaurant areas and following that, to design and furnish three new suites. The creative juices were let loose! Christine returned to the UK in 2010, after living 10 years in Spain and now works in a creative workspace on a farm in Battle, East Sussex where clients can visit by appointment only. The chairs start their lives there, ‘fase' lamps are unpacked and prepared there, projects take shape there … and she has started to paint there, which is just perfect! TheKula’s clients come from all walks of life with one thing in common .. an eye for beautiful things.